Horizontal panel Anarkali is also having 2 parts, which bodice and tiered skirt. This type of Anarkali made with Horizontal panels of associated blend colors & patterns. Usually 3 to 5 tires used to make this Horizontal panel Anarkali. To enhance it looks should attach lace at the tire joints. This Anarkali suit stitched with thin fabrics like chiffon, Georgette, net, tissue & cotton with suitable lining. 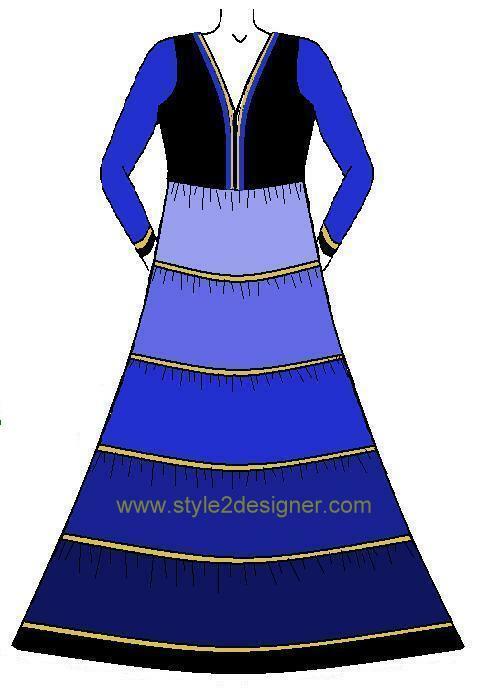 If u wants to make high waist line Anarkali add this following construction points to the basic Kameez draft. Click HERE to know the Kameez draft details. You can make this as a floor length Anarkali. 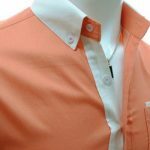 For that you have to change the measurement of (0-1) as Shoulder to floor length. If you want to make a high waist Anarkali use point 11’ instead of 11 while drafting & cutting. 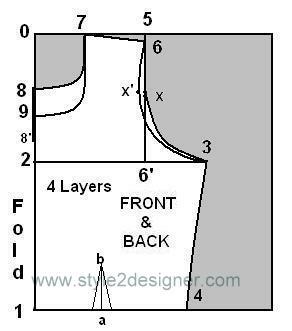 Take A line or flare draft and cut along the high waist or waist line of both Front & Back pieces to separate Bodice and skirt part. Point b is 3” straight upward line from a for waist length bodice. If it is high waist length bodice Point b is 1.5” straight upward line from a. These darts should be in both sides of front & back. Your skirt part length is 42” then divide 5 equal parts. 42/5 = 8.4”. So your each tier length is 8.4”. If you want to add 2” border you have to less this 2” from skirt length then divide. 42”-2”=40”. 40/5=8” so your each tier length is 8”. Take the skirt part and divide 3 to 5 equal parts of its length or you can cut 3 to 5 separate tiers for skirt part with these instructions in image (here I give 5 equal tier measurements). 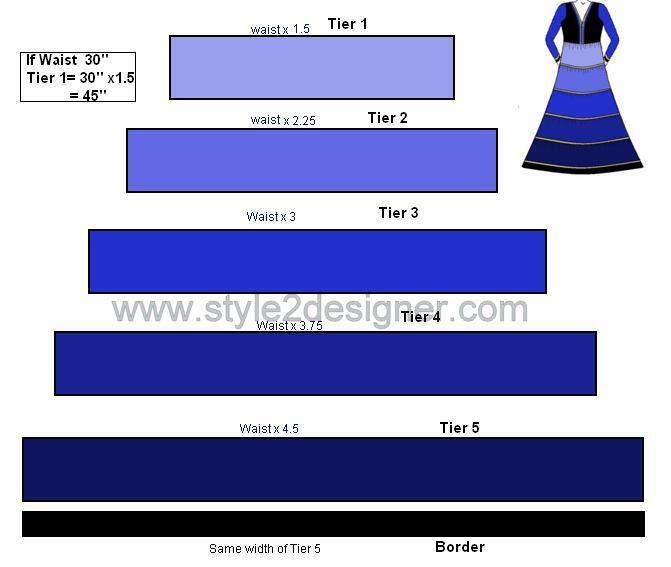 Step 1: Attach tiers one by one with regular interval pleats. Then sew along the side seam. Now the Tiered Skirt part is ready. Step 3: Then you have to join bodice and skirt parts together on waistline or high waistline. Now you get a stylish horizontal or tiered Anarkali. Hi.. Cassie Pereira.. Every teacher using their own type of methods.. Unfortunately, sometimes that cannot be understood by all students.. I’m so.. happy.. That’s my method is understood by you..